Each and every one of us is accompanied through life and protected by a Guardian Angel. If our Angels decide to communicate with us and teach us life lessons, they will do so via Angel numbers. When our Guardian Angel reaches out to us with the help of Angel numbers, it’s no coincidence, it means they have a message for us. Angel number meanings are all diverse but they all impart us with divine guidance. Seeing triple digits will mark us with a lifechanging spiritual communication. Discover the Angel number meanings here. Being surrounded by Guardian Angels is a definite blessing, especially when they decide to reach out to us with Angel numbers. Using Angel numbers to communicate essential spiritual messages is very easy to interpret thanks to our Angel number meanings guide. We’ve put together a spiritual guide for each of the Angel numbers and also focus on the Angel number meanings, making the messages simple to understand. Angel divine guidance is often done by the means of sequences of repeating numbers. Which Angel numbers do you notice seeing on a regular basis? How do Angel numbers appear? 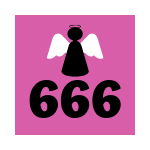 Stopped seeing Angel numbers: What does it mean? Why does our Angels reach out to us? Why do our Angels use sequences of numbers? 111 Angel number: A new spiritual journey awaits you. 111 Meaning and Angel message: Your Guardian Angels are urging you to relax and to adopt a less intense approach to life and its problems. 222 Angel number: Work on installing balance and harmony in your life. 222 Meaning and Angel message: The spiritual meaning behind 222 is that you must stay truthful and faithful to your personal beliefs. 333 Angel number: You need to learn to express yourself. Don’t hold back! 333 Meaning and Angel message: Seeing 333 is a sign of encouragement and strength and will give you the determination and persistence you need to move forward. 444 Angel number: Your Angels are encouraging you to reach for the stars. 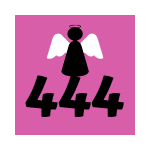 444 Meaning and Angel message: You are at a crossroad in your life and are starting to realize the importance of spirituality. 555 Angel number: Major changes await you; embrace them! 555 Meaning and Angel message: Personal growth or even physical change such as moving house or finding a new job are in store. 666 Angel number: You are stuck in the past; you must let go. 666 Meaning and Angel message: 666 is the sign of encouragement that appears when you begin to lose faith in yourself. 777 Angel number: Your Angels want to congratulate and encourage you. 777 Meaning and Angel message: Embrace who you are and explore your hidden talents. 888 Angel number: Something positive is on the way! 888 Meaning and Angel message: The universe is supportive of your life path and wants you to succeed. 999 Angel number: A chapter in your life is coming to an end. 999 Meaning and Angel message: You need to focus on the bigger picture. 1010 Angel number: Stop being complacent. 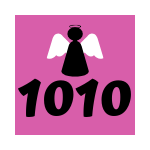 1010 Meaning and Angel message: A spiritual awakening is awaiting you. 1111 Angel number: Stop worrying about other people’s opinions of you. 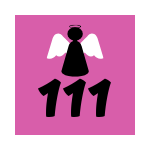 1111 Meaning and Angel message: A new and exciting beginning awaits you. 1212 Angel number: Dream big and have faith in yourself. 1212 Meaning and Angel message: Stay positive and focus on the greater good. Discover the meaning behind the Angel number sequences and how the message will affect you going forward. Angel numbers are messages of hope, spirit guides and divine guidance! Angel numbers are number sequences, typically of triple digits used by our Angels to send us guidance, support and hope for both the present and the future. Each of the Angel numbers is associated with an Angel number meaning and is used to transmit to us the wisdom and guidance we need. Don't worry if you see triple digit sequences; it's a positive sign of divine guidance! When our Guardian Angels want to get our attention, they reach out to us with a specific series of number sequences that are each related to a celestial and spiritual message. Repeatedly seeing number sequences is no fluke and hides a deeper meaning that you need to discover if are to achieve ultimate greatness. Signs and message from your Angels will often appear as repeated number patterns and can show up at each phase of your life. Spiritual number sequences have been used throughout history to represent underlying energies, vibrations and frequencies. Angel numbers meanings carry powerful messages and act as guides and spiritual references along our life path. When you observe number sequences, you must open your heart and become receptive to the guidance and advice your Angel wants to communicate. It's time for you to open your heart because your Angels are surrounding you and to raise your vibration. Angel numbers show up as sequences of figures. When your Angels want to communicate with you and reach out to you, they will attempt to grab your attention by sending you repetitive number sequences such as 444 or 555. Angel numbers can appear anywhere and in various forms, including on license plates, house numbers, phone numbers or receipts for example. If you see Angel number sequences, don't worry, raise your vibration and be open to receive your Angel's wisdom and guidance. Once you’ve seen the Angel number sequences on a few occasions, you’ll start to consciously feel that there is an Angel number meaning that you need to discover. Seeing number combinations on several occasions means that a powerful message awaits you and your Angel is ready to help you succeed and follow your path. Triple digit sequences are signs from your Angels that your life is about to change for the better. Your Angels are pleased with you! If you have stopped seeing Angel numbers, it means that the Angels are satisfied with you and that their work is done. If you have stopped seeing your Angel sequences, your Guardians assume that you have fully understood their message and no longer need to be guided along your path. When the numbers stop appearing, it’s time for you to take control of your destiny and pursue your path towards the future. Even if you no longer notice the Angel number sequences, you must still pay attention to divine guidance, vibrational frequency and your personal spirit guides. Noticing the number sequences and looking into the Angel number meanings is a great way for you to acknowledge the presence of your Angels. Understanding your Angels is a tough task, but if you want to ensure a positive Angel connection, you must focus on the reasons why they are reaching out to you. 1) Be aware of your surroundings and pay attention to what happens to you at each phase of your life. 2) Open your heart and soul to celestial communications. 3) Tune yourself into the possible messages the celestial bodies would want to transmit. 4) Believe in the higher powers and be open to receive. Because we need guidance and direction. As soon as we start seeing Angel numbers, we can immediately put our faith in our divine protectors. Angelic guides and Angelic realms in the form of numbers will come to us when we are feeling lost and in need of a boost of optimism. Establishing a connection with our Angels through sequences of numbers is a very revelatory experience and will certainly lead us to a new and exciting path. Everyone’s situation is different and to understand why your Angels are trying to connect with you, you need to evaluate your own situation and put your trust in your spirit guide. Seeing repeated number patterns will act as a divine guide, especially if you are at a crossroad in your life. Deciphering the Angel number meanings can be a challenge and requires some intense reflection and lots of deep thought. If you are feeling down about things or you are struggling at work or in your personal life, keep your eyes open for divine guidance from your Angel. Our Angels reach out to us when we are in need of direction, advice, guidance and increased spirituality. It's the most potent method. Our Guardian Angels are always searching for ways to communicate with us and guide us. When we call on our Guardian Angels for help, they answer in the form of number sequences to prove that they are there for us. Our Guardian Angels use Angel numbers to communicate with us because they are such pure spirits that they cannot risk exposing themselves. Getting us to notice sequences of numbers is the safest and most effective way for our Angels to fulfill their duties towards us. Angel numbers acts as spirit guides and are the easiest of ways for our Angels to get us to pay attention and accompany us with divine guidance. Using Angel number sequences of often triple digits is always associated to a clear sign from your Angels and show us that our Angel are surrounding us in moments of need?